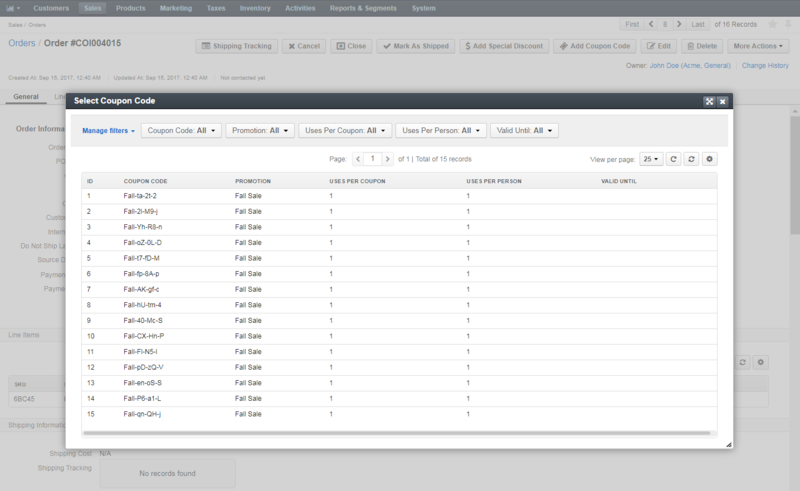 Navigate to Sales > Orders in the main menu. Click once to open the required order to open it. On the order page, click Add Coupon Code on the top right. Click Add to add the selected coupon code. Click Apply to apply the coupon code. Please keep in mind that you cannot apply two coupon codes to one order if they are related to the same promotion. The applied coupon code will be displayed under All Promotions in the Promotions and Discounts section. 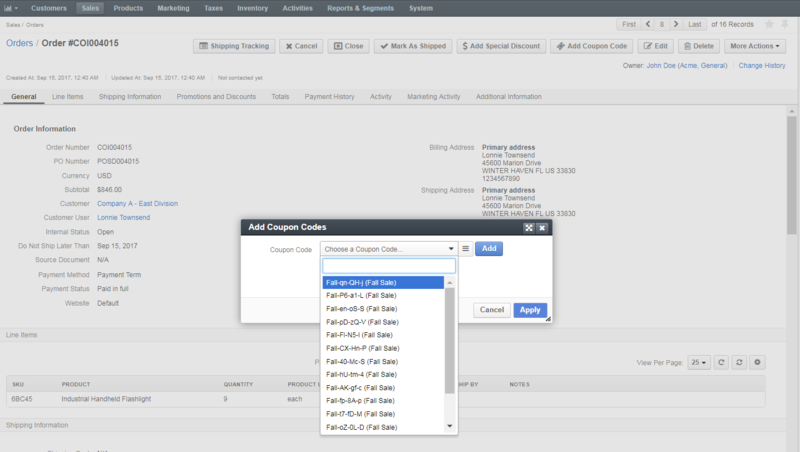 This way you can apply as many coupons to the order as necessary as long as they belong to different promotions.